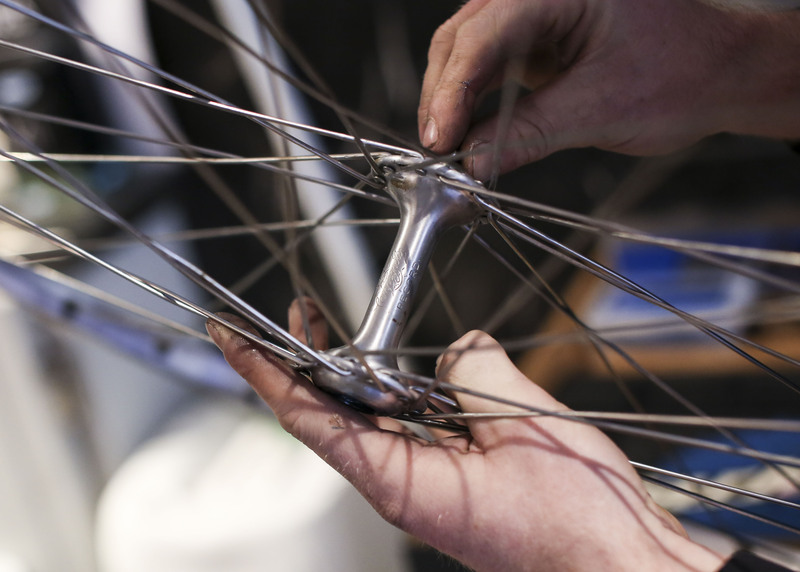 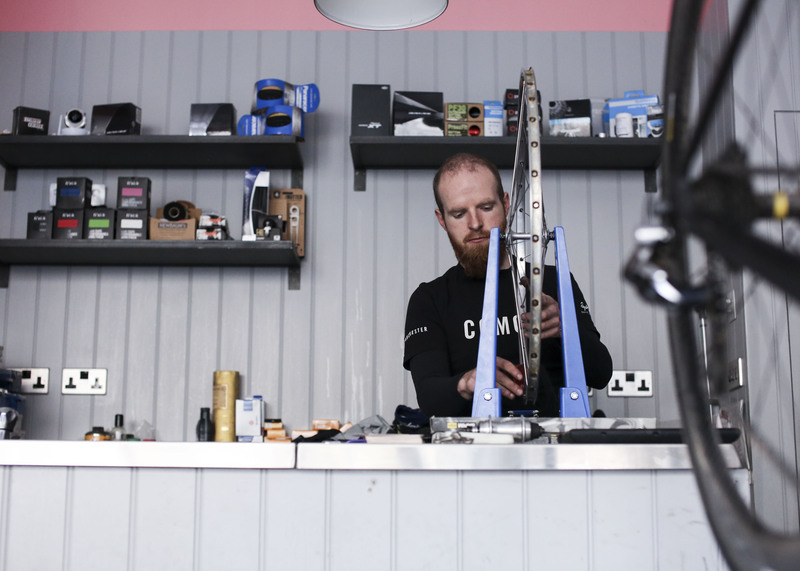 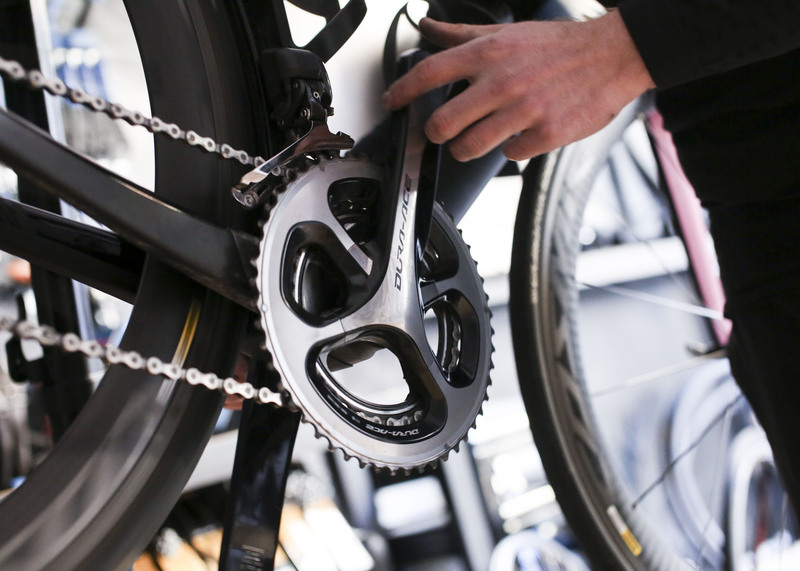 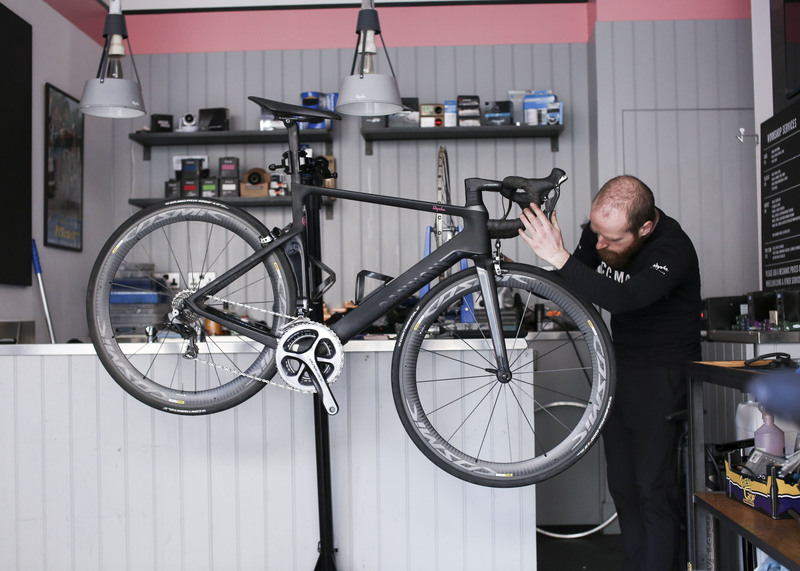 You can find our mechanics working out of the Rapha Manchester Clubhouse. 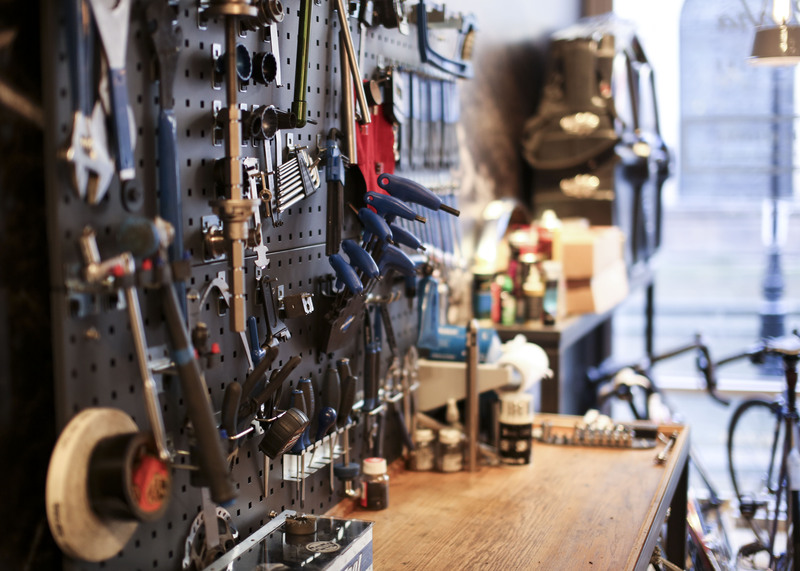 Located on St. Anne’s Square in Central Manchester (hidden behind the church), the Workshop is equipped to take care of anything from small fixes to full rebuilds. 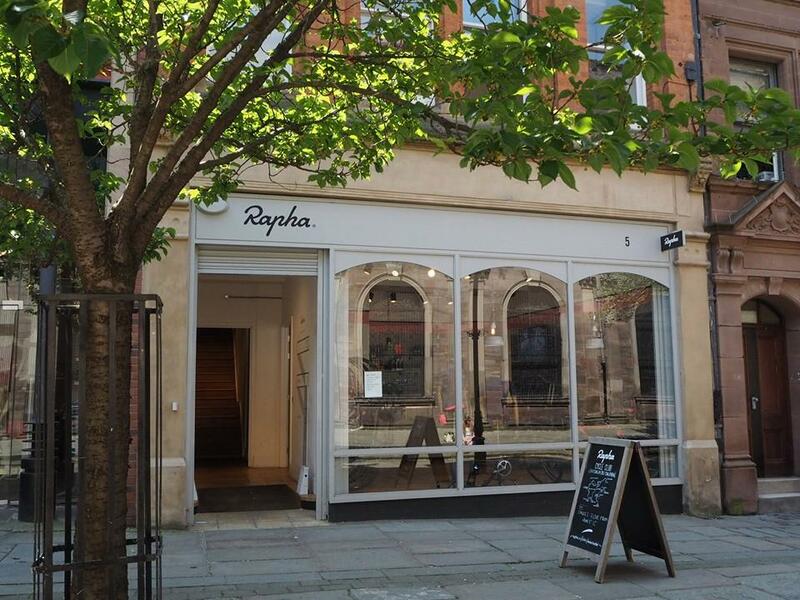 All customers can enjoy a complimentary coffee in the café with each service.